Whether you're thinking about having a baby or have recently had one - or even if babies aren't on your radar - hormones are a hot topic. When the body functions as it's supposed to, hormones are naturally balanced and keep the body running like a well oiled machine. But if they are even slightly out of whack, you can experience symptoms such as mood swings, anxiety, depression, fatigue, leaky gut, PMS and fertility issues. Keep blood sugar stable: the simplest way to do this is never let yourself get too hungry or too full. This will help you avoid sending your body into starvation mode and overeating. Another way to do this is to avoid sugar and refined carbohydrates which immediately make your blood sugar spike. Consume healthy fats: almonds, avocados, olive oil, coconut oil and wild salmon are great sources of healthy fats that aid in hormone production and weight management by signalling to the body that you're full. 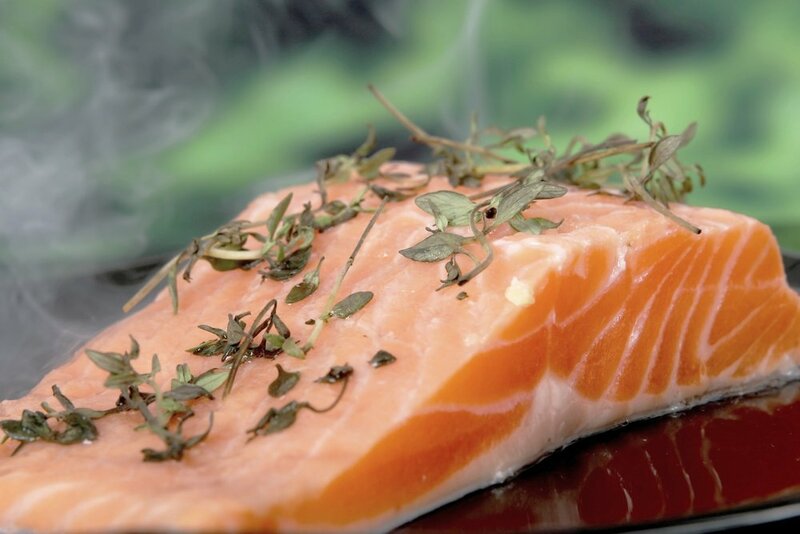 Wild salmon and other fatty fish such as sardines are high in omega-3 which has been seen to help lower stress which can negatively impact hormones. Don't forget your leafy greens: while eating leafy greens seems to be the number 1 piece of advice no matter what health issue you're dealing with, it's also an excellent way to help your body properly regulate hormones. Broccoli, spinach and brussels sprouts in particular, aid in the utilization of estrogen and production of collagen which helps to keep skin firm. Find a way to manage stress: being stressed out can wreak havoc on your hormones as the body releases cortisol (known as the "stress hormone") and also adrenaline (known as the "fight or flight hormone), If you find you're stressed out most of the time, it's safe to assume these hormones will remain elevated in your body which can lead to anxiety, obesity and high blood pressure. Exercise regularly: not only is exercise a great way to manage stress, it also helps regulate hormones in a way that maintains muscle strength, lowers your risk of disease, reduces inflammation and helps to manage your weight.